Специалист в области палеонтологии и биостратиграфии кайнозоя. Занимается изучением фауны мелких млекопитающих Восточной Сибири и олигоцен-современных зайцеобразных фаун мира. Научные интересы - систематика, филогения, зоогеография и палеоэкология грызунов Восточной Сибири; классификация, филогения, эволюционное развитие зайцеобразных фаун мира. Биостратиграфия позднекайнозойских отложений Восточной Сибири и Центральной Монголии. 2 Erbajeva М.А.,Late Pliocene Itantsinian faunas in Western Transbaikalia The Dawn of the Quaternary. Proceedings of the SEQS-EuroMam symposium 1996. In: The Mededelingen Nederlands InstiTuut voor Toegepaste Geowetenschappen TNO, 1998, Nr 60. P.417-430. 3 Erbajeva М.А.,Allophaiomys in the Baikalian Region Paludicola 2 (1), 1998. Pp.20-27. 4 Courant F.,Chaline J.,Erbajeva М.А.,Giradoux. P.,Karyological and dental identification of Microtus limnophilus in a large focus of alveolar echinococcosis (Gansu, China). C.R.Acad. Sci. Paris Life Sciences, 1999, N 322: 473-480. 6 Erbajeva М.А.,Alexeeva N.V.,Pliocene and Pleistocene biostratigraphic succession of Transbaikalia with emphasis on small mammals Quaternaru International, N 875, 2000, p. 1-9, Oxford. 7 Alexeeva N.V.,Erbajeva М.А.,Pleistocene permafrost in Western Transbaikalia. Quaternaru International, N 875, 2000, p. 1-8, Oxford. 8 Ербаева М.А.,Палеогеновые зайцы (Leporidae, Lagomorpha) из Зайсанской впадины Палеонтологический ж., № 5, 1999: 83-87. 9 Филиппов А.Г.,Ербаева М.А.,Сычевская Е.К.,Миоценовые отложения в пещере Ая на Байкале Геология и геофизика, том 41, № 5, 2000: 755-764. 10 Ербаева М.А.,Тютькова Л.А.,Пищуховые (Ochotonidae, Lagomorpha) из местонахождений Зайсанской впадины (Восточный Казахстан). Журнал «Селевиния», № 12, 1999: 134-139. 11 Alexeeva N.V.,Erbajeva М.А.,Reply to the discussion: Pleistocene permafrost in Western Transbaikalia. Quaternary International, v. 80-81, 2001: 171. 12 Alexeeva N.V.,Erbajeva М.А.,Sen S.,Geology and fauna, and preliminary correlation of sediments of the main Late Cenozoic sites of the Transbaikal area. Quaternary International, v. 80-81, 2001: 1-8. 13 Erbajeva М.А.,Alexeeva N.V.,Khenzykhenova F.I.,The Pliocene and Pleistocene small mammals of Eastern Transbaikalia Neogene and Quaternary continental stratigraphy and mammal evolution. Bolletino della Societa Paleontologica Italiana. 2001. Vol. 40, N 2: 175-178. 14 Erbajeva М.А.,Montuire S.,Chaline J.,New ochotonids (Lagomorpha) from the Pleistocene of France. Geodiversitas, Paris. 2001. V. 23, N 3: 395-409. 15 Erbajeva М.А.,Alexeeva N.V.,Sen S.,Karasev V.V.,“Stratigraphy of Pliocene and Pleistocene Mammals of Transbaikalia”. International Geoscience Journal, Gondwana Research, vol. 4, N 4, 2001: 613. 16 Erbajeva М.А.,Daxner-Hoeck G.,Paleogene and Neogene lagomorphs from the Valley of Lakes, Central Mongolia. Lynx, vol. 32. 2001: 55-65 (не вошла в отчет 2001 г.). 17 Erbajeva М.А.,Khenzykhenova F.I.,Alexeeva N.V.,Small mammals of the cave sites in the Baikalian region. Journal Theoretical and Applied Carstology, Bucarest. 15. 2002: 35-44. 18 Erbajeva М.А.,Late Miocene ochotonids (Mammalia, Lagomorpha) from Central Mongolia. Neue Jb. Geol. Paleont., N 4, Stuttgart. 2003: 212-222. 19 Erbajeva М.А.,Currant A.,Ochotona spelea Owen, 1846: new look on the taxonomic position. Advances in Vertebrate Paleontology “Hen to Panta”, Special publications. Bucharest, Romania. 2003: 97-104. 20 Erbajeva М.А.,Alexeeva N.V.,Khenzykhenova F.I.,Pliocene small mammals from the Udunga site of the Transbaikal area. Colloquios de Paleontologia. R. Daams Memorial volume, Madrid. 2003: 47- 63. 21 Ербаева М.А.,История, эволюционное развитие и систематика вымерших сурков Забайкалья. Русский териологический журнал, Санкт-Петербург. № 4. 2003, с. 23-35. 22 Alexeeva N.V.,Erbajeva М.А.,Quaternary environment changes in the West Transbaikal area. Zona Arqueologica 4. Miscelanea en homenaje a Emiliano Aguirre. Museo Arqueologico Regional de la Comunidad de Madrid, Madrid, 2004.Volume Geologia 1, p 14-19. 23 Alexeeva N.V.,Erbajeva М.А.,Changes in the fossil mamal faunas of Western Transbaikalia during the Pliocene-Pleistocene boundary and the Early-Middle Pleistocene transition Journal Quaternry International.1057. p. 1-7. 24 Alexeeva N.V.,Erbajeva М.А.,Changes in the fossil mammal faunas of Western Transbaikalia during the Pliocene-Pleistocene boundary and the Early-Middle Pleistocene transition. Journal Quaternary International, Elsevier Ltd and INQUA. Vol. 131. 2005. P. 109-115. 25 Erbajeva М.А.,Zheng Sh.,New data on Late Miocene-Pleistocene ochotonids (Ochotonidae, Lagomorpha) from North China. Acta zoologica cracoviensia, 48 A, (1-2). Krakow, Poland. 2005. P. 93-117. 26 Ербаева М.А.,Новый вид позднеплиоценовой пищухи (Lagomorpha, Mammalia) из Германии. Пaлеонтологический журнал, № 3. 2005 г. C.91-93. 27 Ербаева М.А.,Карасев В.В.,Алексеева Н.В.,Новые данные по стратиграфии плиоцен-плейстоценовых отложений Забайкалья. Геология и Геофизика, т.46, № 4. 2005 г.С. 414-423. 28 Erbajeva М.А.,Alexeeva N.V.,Khenzykhenova F.I.,Review of the Pliocene-Pleistocene arvicolids of the Baikalian region Palaeontographica, Abteilung A, 278. 2006. P. 113-123. 29 Erbajeva М.А.,Flynn L.J.,Li Ch.,Marcus L.,New Late Cenozoic Ochotonids from China Beitrage zur Palaeontologie von Oesterreich. 30, Wien, 2006. S. 24-32. 30 Erbajeva М.А.,Ma Y.,A new look at the taxonomic status of Ochotona argentata Howell, 1928 Acta zoologica cracoviensia, 49 A (1-2), 2006. P.135-149. 31 Alexeeva N.V.,Karasev V.V.,Erbajeva М.А.,Pleistocene Biostratigraphy of the Transbaikal area (South East Russia). In: Kahlke R.-D., Maul L.C., Mazza P.P.A. (Eds. ): Late Neogene and Quaternary biodiversity and Evolution: Regional developments and interregional correlations. Vol. II, 2007: 19-26. 32 Erbajeva М.А.,Oligocene-Miocene Vertebrates from Valley of Lakes (Central Mongolia): Morphology, phylogenetic and stratigraphic implications. Annales Naturhistorisches Museum Wien, 108 A, 2007: 165-171. Забайкалье, Западной Монголии и Северо-Западном Китае (сравнительный анализ) География и природные ресурсы, № 2. 2007:105-113. 34 Alexeeva N.V.,Erbajeva М.А.,Diversity of Late Neogene-Pleistocene small mammals of the Baikalian region and implications for paleoenvironment and biostratigraphy: An overview Quaternary International, 2008, vol. 179: 190-195. 35 Mironov A.G.,Catto N.R.,Erbajeva М.А.,Quaternary of Baikalia Quaternary International, 2008, vol. 179: 1-4. 36 Ryashchenko T.G.,Akulova V.V.,Erbajeva М.А.,Loessial soils of Priangaria, Transbaikalia, Mongolia, and northwestern China Quaternary International, 2008, vol. 179: 90-95. 37 Erbajeva М.А.,Alexeeva N.V.,A new look at Pleistocene marmot diversity of Transbaikalia Ethology, Ecology & Evolution, vol. 21, No. 4. P. 42-49. 38 Erbajeva М.А.,Alexeeva N.V.,Pliocene –Recent Holarctic marmots: overview Ethology, Ecology & Evolution, vol. 21, No. 4. P. 7-12. 39 Andreeva D.B.,Leiber K.,Hambach U.,Erbajeva М.А.,Chimitdorzhieva G.D.,Tashak V.I.,Zech W.,Genesis and properties of black soils in Buryatia, southeastern Siberia, Russia Quaternary International, 2011. Vol. 207. Р. 313-326. 40 Erbajeva М.А.,Khenzykhenova F.I.,Alexeeva N.V.,2011. Late Pleistocene and Holocene environmental peculiarity of the Baikalian region, based on mammal associations and deposits Quaternary International, 2011. Vol. 237: Р. 39-44. 41 Erbajeva М.А.,Khenzykhenova F.I.,Alexeeva N.V.,Aridization of the Transbaikalia in the context of global events during the Pleistocene and its effect on the evolution of small mammals Quaternary International (2001), doi:10.1016j.quaint. 2011.12.024: P. 1-14. 42 Erbajeva М.А.,Mead J.I.,Alexeeva N.V.,Angelone Ch.,Swift S.L.,Taxonomic diversity of Late Cenozoic Asian and North American ochotonids (overview) Palaeontologia electronica, 2011. Vol. 14, issue 3. 42A. Р. 1-9. 43 Sen S.,Erbajeva М.А.,A new species of Gobicricetodon Qiu, 1996 (Mammalia, Rodentia, Cricetidae) from the Middle Miocene Aya Cave, Lake Baikal Vertebrata Palasiatica, 2011. Vol. 49, Nr. 3. Р. 257-274. 44 Ербаева М.А.,Biodiversity and evolutionary development of Oligocene-Pliocene lagomorphs (Lagomorpha, Mammalia) of Mongolia Erforschung Biologischer Ressoursen der Mongolei, 2012: р.95-102. ISSN: 0440-1298. 45 Ербаева М.А.,Алексеева Н.В.,,Ochotona daurica Pallas, 1776: modern and past distribution area in Mongolia and the Transbaikal area Erforschung Biologischer Ressoursen der Mongolei, 2012: р.103-110. (ISSN: 0440-1298. 46 Ербаева М.А.,Новые виды Amphilagus (Lagomorpha, Mammalia) из миоцена Долины Озер, Центральная Монголия Палеонталогический журнал, № 3, 2013: 1-10. 47 Рященко Т.Г.,Акулова В.В.,Ербаева М.А.,Формирование лессовидных отложений Забайкалья (на примере ключевых участков) География и природные ресурсы. 2012, № 4: 117-125. 48 Андреева Д.Б.,,,Ербаева М.А.,Чимитдоржиева Г.Д.,,,Stable isotope (d13C, d15N, d18O) record of soils in Buryatia, southeastern Siberia: Implications for bio-geochemical and paleoclimatic interpretations. Quaternary International Vol. 290-291, 2013: 82-94. 49 Ербаева М.А.,Biodiversity and evolutionary development of Mongolian ochotonids in Cnozoic time Erforshung biologischer Ressourcen der Mongolei. 2013, vol. 12: 47-54. 50 Ербаева М.А.,Алексеева Н.В.,Ochotona daurica Pallas, 1776: modern and pastdistribution area in Mongolia and the Transbaikal area Erforshung Biologischer Ressourgen der Mongolei (HalleSaale). 2013, vol. 12: 39-45. 51 Ербаева М.А.,Хензыхенова Ф.И.,Алексеева Н.В.,Aridization of the Transbaikalia in the con-text of global events during the Pleistocene and its effect on the evolution of small mammals Quaternary International Volume: 284 Pages: 45-52. 52 ,,,,Ербаева М.А.,,,Evolutionary History of Lag-omorphs in Response to Global Environmental Change PLOS ONE. 2013. Vol. 8, N 4: 1-15. 53 Алексеева Н.В.,Ербаева М.А.,Хензыхенова Ф.И.,Lasiopodomys brandti in Pleistocene of Transbaiklia and adjacent territories: Distribution area, evolutionary development in context of global and regional events Quaternary International (2015), Vol. 355, P. 11–17. 54 ,,Ербаева М.А.,Determining the ontogenetic variation of lower cheek teeth occlusal surface patterns in lagomorphs using micro-ct technology Palaeontologia electronica, 2014. Vol. 17, issue 1; 5A; 13 p.
55 Ербаева М.А.,,The most prominent Lagomorpha from the Oligocene and Early Miocene of Mongolia Annalen des Naturhistorischen Museums in Wien Serie A, 116: Р.215–245. 56 Ербаева М.А.,,Алексеева Н.В.,Late Cenozoic Asian Ochotonidae: Taxonomic diversity, chronological distribution and biostratigraphy Quaternary International 355 (2015) 18-23. Vol. 355, P. 18–23. 57 Ербаева М.А.,Advances in the Quaternary of Interior Asia Quaternary International, 2014, Vol. 355, P. 1. 58 ,,Ербаева М.А.,Алексеева Н.В.,,The Leporid datum: a late Miocene biotic maraker Mammal Review, The Mammal Society and John Wiley & Sons Ltd.44 (2014) Р. 164-176. 59 Ербаева М.А.,Влияние глобальных изменений климата на эволюцию и биоразнообразие зайцеобразных Голарктики в кайнозое Вестник БНЦ, 2014, № 1 (13):134-141. 60 Ербаева М.А.,,Outstanding Russian paleozoologist Quaternary International, 2015, 335: 2. 61 Ербаева М.А.,Eurasian ochotonids: biochronology and taxonomic diversity Zoologichesky zhurnal. 2015, Том: 94, Выпуск: 1, С. 111-118. 62 Ербаева М.А.,,Алексеева Н.В.,A new species of the genus Amphilagus (Lagomorpha, Mammalia) from the Middle Miocene of south-eastern Siberia Historical Biology, 2015, V. 28, Nos. 1–2. 63 ,Андреева Д.Б.,Чимитдоржиева Г.Д.,Ербаева М.А.,,Reconstruction of environmental changes during the late glacial and Holocene reflected in a soil-sedimentary sequence from the lower Selenga River valley, Lake Baikal region, Siberia, assessed by lipid molecular proxies Quaternary International, 2015, V.365, р.190-202. 66 ,,,,,,,Ербаева М.А.,,Oligocene and early Miocene biostratigraphy of the Valley of Lakes in Mongolia. In G. Daxner-Hock and U. Gohlich (Eds.) The Valley of Lakes in Mongolia, a key area of Cenozoic mammal evolution and stratigraphy Palaeobiodiversity and Palaeoenvironments, 97(1) Doi: 10.1007s12549-016-0264-x(this issue). 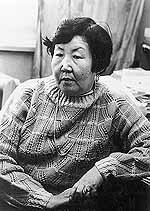 68 Хензыхенова Ф.И.,Щетников А.А.,Сато Е.,Ербаева М.А.,Семеней Е.Ю.,Липнина Е.А.,,Като Х.,,Филинов И.А.,,Алексеева Н.В.,Ecosystem analysis of Baikal Siberia using Palaeolithic faunal assemblages to reconstract MIS 3 – MIS 2 environments and climate Quaternary International, 2016. P. 1-12. 69 Ербаева М.А.,,Баярмаа Б,Монгол орны олигоцен-плиоцены туулай хэлбэртэн (Lagomorpha, Mammalia) тэдгээрийн торол зуйл ба эволюцийн хогжил Mongolian Journal of Paleontology. Ulaanbaatar, 2016. Transaction № 2. P. 75-81. (на монгольском языке). 70 ,,,Баярмаа Б,Ербаева М.А.,,,,,,Oligocene stratigraphy across the Eocene and Miocene boundaries in the Valley of Lakes (Mongolia). Journal Palaeobiodiversity and Palaeoenvironments, Special issue “The Valley of Lakes in Mongolia, a key area of Cenozoic mammal evolution and stratigraphy”. vol. 97, Nr 1, 2017, pp.111-218. 71 ,,Ербаева М.А.,,,,,,,Oligocene and early Miocene mammal biostratigraphy of the Valley of Lakes in Mongolia. Journal Palaeobiodiversity and Palaeoenvironments, Special issue “The Valley of Lakes in Mongolia, a key area of Cenozoic mammal evolution and stratigraphy”. vol. 97, Nr 1, 2017, pp. 219-231. 73 Алексеева Н.В.,Ербаева М.А.,Намзалова О.Д.-Ц.,Зайцеобразные Байкальского региона и основные направления их эволюционного развития в позднем кайнозое. Вестник Иркутской Государственной сельскохозяйственной академии, 2017. № 83. С. 47-52. 74 Ербаева М.А.,Щетников А.А.,Филинов И.А.,Крайнов М.А.,Маликов Д.Г.,Нечаев И.О.,Новые данные по геологии и фауне местонахождения Малые Голы (Предбайкалье). Бюллетень МОИП, отдел геологический, №4, 15 стр. 75 ,Ербаева М.А.,Щетников А.А.,,,Алексеева Н.В.,,Tologoi key section: a unique archive for Pliocene-Pleistocene paleoenvironment dynamics of Transbaikalia, Bikal rift zone Quaternary International_2018_305_2R. 76 Erbajeva М.А.,Sen S.,Systematic of some Oligocene Lagomorpha (Mammalia) from China N. Jb. Geol. Palaont. Mh., 1998 (2). P.95-105. 77 Mead J.I.,Erbajeva М.А.,Swift S.L.,In: Monography: Biodiversity Response to Climate Change in the Middle Pleistocene. The Porcupine Cave Fauna from Colorado. Ed. A.D. Barnosky. (Part two, 14. Middle Pleistocene (Irvingtonian) Ochotona (Lagomorpha:Ochotonidae) from Porcupine Cave). University of California Press. Berkely, Los Angelos, London, 2004. p. 155-163. 79 Erbajeva М.А.,Late Pleistocene small ochotonids of Eurasia with emphasis to the history of Ochotona pusilla. In: 6th Meeting of the European Association of Vertebrate Paleontologists. 30th June - 5th July, 2008, Spisska Nova Ves, Slovak Republic. Volume of Abstracts, 2008: 38-40. 80 Erbajeva М.А.,Alexeeva N.V.,Review of the Pliocene-Recent Holarctic marmots. VI marmot meeting:“Marmots in changing world”, Abstracts, Cogne, Italy. 3-6 September, 2008. P. 2. 81 Алексеева Н.В.,Щетников А.А.,Ербаева М.А.,Филинов И.А.,Хензыхенова Ф.И.,Намзалова Б.Д-Ц.,Биостратиграфия плейстоцена юга Восточной Сибири Фундаментальные проблемы Квартера, итоги изучения и основные направления дальнейших исследований Материалы IX Всероссийского совещания по изучению Четвертичного периода. Иркутск, 2015. С. 10-12. 82 Алексеева Н.В.,Ербаева М.А.,New data on Quaternary stratigraphy of the Transbaikal area Advances of the Quaternary Interior Asia. Vol. of Abstracts and Field Guidebook. Uan-Ude, 2013: 7-8. 83 Daxner-Hoeck G.,Badamgarav D.,Erbajeva М.А.,Goelich U.,Hoeck V.,Oligocene Stratigraphy based on a Sediment-Basalt association in Central Mongolia (Valley of Lakes) Abstracts and Guidebook of the International Symposium on Terrestrial Paleogene biota and Stratigraphy of Eastern Asia (In Memory of Prof. Minchen Chow), June 15-17, 2009, Beijing, China. P. 8-10. 84 Erbajeva М.А.,Oligocene lagomorphs from Mongolia Abstracts and Guidebook of the International Symposium on Terrestrial Paleogene biota and Stratigraphy of Eastern Asia (In Memory of Prof. Minchen Chow), June 15-17, 2009, Beijing, China. P. 13-14. 85 Erbajeva М.А.,Alexeeva N.V.,Late Pleistocene-Recent small mammals of the South of Eastern Siberia Abstracts of the 83rd Annual Meeting of the German Society of Mammology, 13-17 September, 2009, Dresden, Germany. P. 10. 86 Erbajeva М.А.,Alexeeva N.V.,Middle Pleistocene Transbaikalian Tologoi Faunal Complex: composition, implication for biostratigraphy, paleoenvironmental reconstructions and correlation with fauna of Zhoukoudian 1 Conference Guide of the International Symposium on Paleoanthropology in Commemoration of the 80th Anniversary of the discovery of the First Skull of Peking Man and the First Asian Conference on Quaternary Research, 19-23 October, 2009, Beijing, China. P. 68. 87 Erbajeva М.А.,Alexeeva N.V.,Khenzykhenova F.I.,Late Pleistocene and Holocene small mammals in south of East Siberia (faunal composition, environmental and taphonomic implications) Proceedings of the International Scientific Conference, September 14-18, 2009, Vladivostok, Russia. P. 58-60. 88 Ербаева М.А.,Пищуховые Евразии в позднем неогене: таксономическое разнообразие, распространение и эволюционное развитие Материалы международной научно-практической конференции «Палеонтологические памятники природы – природное наследие: изучение, перспективы исследований и проблемы сохранения», 2-3 октября 2008 г. Казахстан, г. Павлодар. С. 12-15. 89 Ербаева М.А.,Алексеева Н.В.,Биохронологическая последовательность фауны мелких млекопитающих плиоцена и плейстоцена Западного Забайкалья: проблемы и задачи биостратиграфии Материалы Всероссийского научного совещания, Москва, 13 апреля 2009 г. «Актуальные проблемы неогеновой и четвертичной стратиграфии и их обсуждение на 33-м Международном геологическом конгрессе (Норвегия, 2008 г.)». Москва, ГЕОС, 2009. С. 53-58. 90 Ербаева М.А.,Демонстрационная площадка № 3. Урочище Тологой. Четвертичные континентальные отложения Западного Забайкалья Путеводитель полевой экскурсии в рамках Международного семинар-совещания «Проблемы опустынивания Центральной Азии», С. 16-19. 91 Alexeeva N.V.,Erbajeva М.А.,Habitat and distribution area of woolly mammoth and some core mammal species in Transbaikalia during the Late Pleistocene Quaternaire, 2010: 177-178. 92 Daxner-Hoeck G.,Badamgarav D.,Erbajeva М.А.,Oligocene Stratigraphy based on Sediment-basalt association in Central Mongolia (Taatsin Gol and Taatsin Tsagaan Nuur area, Valley of Lakes): review of a Mongolian-Austrian project Vertebrata PalAsiatica, vol. 48, N 4. 2010: 348-366. 93 Erbajeva М.А.,Evolutionary development and the history of Ochotona pusilla and probable relationships between Pikas of "pusilla group" and Northamerican species Abstracts of Euro-American Mammal Congress. Santiago de Compostela, 1998. P.92. 94 Alexeeva N.V.,Erbajeva М.А.,The Eemian in East Siberia The Eemian local sequences, global perspectives. Volume of Abstracts, September 6-11, 1998. Kerkrade. P.1. 95 Ербаева М.А.,Алексеева Н.В.,Хензыхенова Ф.И.,Новые данные по биостратиграфии Забайкалья Главнейшие итоги в изучении четвертичного периода и основные направления исследований в XXI веке”. Тезисы докладов. Санкт-Петербург, 1998. С.24. 96 Alexeeva N.V.,Erbajeva М.А.,Development of the aridity in the Transbaikal area in context of global and regional events based on the study of small mammal faunas Quaternary Stratigraphy and Paleontology of the Southern Russia: connections between Europe, Africa and Asia. Abstract volume 2010 annual meeting INQUA-SEQS. Rostov-on-Don, 2010: P. 19-20. 97 Erbajeva М.А.,Alexeeva N.V.,New data on Pleistocene biostratigraphy of the Western Transbaikalia Cenozoic Continental Rifting. Proceedings of the N.A.Logachev Memorial Symposium. Vol. 1. Irkutsk: Institute of the Earth Crust SB RAS, 2010. - Vol. 1. - P. 135-137. 100 Alexeeva N.V.,Erbajeva М.А.,Pleistocene Permafrost in the Western Transbaikalia CANQUA-CGRG Joint Conference, Calgary, Canada, 1999: 5. 102 Алексеева Н.В.,Ербаева М.А.,Хензыхенова Ф.И.,Этапы развития фауны мелких млекопитающих Забайкалья VI съезд Териологического Общества РАН, Москва, 1999. С. 11. 103 Ербаева М.А.,Биоразнообразие пищуховых (Ochotonidae, Lagomorpha, Mammalia) Евразии Проблемы экологии. Чтения памяти проф. М.М. Кожова. Тез. докл. Междунар. науч. конф. и Междунар. школы для мол. ученых (Иркутск, 20-25 сентября 2010 г.). - Иркутск: изд-во Иркут. Гос. Ун-та, 2010. С.138. 104 Ербаева М.А.,Сурки Голарктики, прошлое и настоящее: видовой состав и распространение Прошлое, настоящее и будущее сурков Евразии и экологические аспекты расселения сурков в Байкальском регионе. Тезисы докл. Х межд. совещ. По суркам стран СНГ. Улан-Удэ, изд-во БНЦ СО РАН, 2010: С. 17-18. 105 Ербаева М.А.,Алексеева Н.В.,Новые данные по биостратиграфии плейстоцена Западного Забайкалья Кайнозойский континентальный рифтогенез. Мат-лы симпозиума, посвященного памяти Н.А. Логачева. Иркутск, изд-во ИЗК СО РАН, 2010. - Т.1. С. 133-135. 106 Ербаева М.А.,Алексеева Н.В.,Эволюция наземной экосистемы Байкальского региона в позднем кайнозое и становление современной Проблемы экологии. Чтения памяти проф. М.М. Кожова. Тез. докл. Междунар. науч. конф. и Междунар. школы для мол. ученых (Иркутск, 20-25 сентября 2010 г.). - Иркутск: изд-во Иркут. Гос. Ун-та, 2010. - С.15-16. 107 Андреева Д.Б.,,,Ербаева М.А.,Чимитдоржиева Г.Д.,,Pale-oenvironmental interpretation of a Late Glacial and Holocene soil-sedimentary sequence near Burdukovo, Selenga River valley, Buryatia Advances of the Quaternary Interior Asia. Vol. of Abstracts and Field Guidebook. Ulan-Ude, 2013: 10. 108 Erbajeva М.А.,Alexeeva N.V.,Mammal faunas diversity and Late Cenozoic Ecosystem evolution of the Western Transbaikalia. International Conference «Biodiversity and Dynamics of Ecosystems in North Eurasia», Diversity of the fauna of North Eurasia, vol. 3, part 1, Novosibirsk, August 21-26, 2000: 244-246. 109 Алексеева Н.В.,Борисова Н.Г.,Ербаева М.А.,Хензыхенова Ф.И.,Шушпанова Г.Г.,Новые данные о похолодании климата в плейстоцене и этапы развития фауны мелких млекопитающих Забайкалья Проблемы реконструкции климата и природной Среды голоцена и плейстоцена Сибири. Вып. 2. Новосибирск, ИАиЭ СО РАН, 2000: 5-17. 110 Alexeeva N.V.,Erbajeva М.А.,Small mammals of Transbaikalia and Pliocene-Pleistocene Boundary. «The Plio-Pleistocene Boundary and the LowerMiddle Pleistocene Transition: Type areas and sections». SubComission on European Quaternary Stratigraphy (SEQS) 2000 Meeting, Book of Abstracts. 2000, p.6. 111 Андреева Д.Б.,,,Ербаева М.А.,,Reconstruction of envi-ronmental changes during the Late Glacial and Holocene based on biogeochemical data of a soil sedimentary sequence along the lowerSelenga River valley, Lake Baikal Region, Siberia Paleosols, pedosediments and landscape morphology as environmental archives. Materials of the XIIth Intern. Symposium and field workshop in paleopedology (ISFWP), Kursk, Russia, August 10-15, 2013. Mos-cow, Kursk, 2013: 63. 112 Ербаева М.А.,Алексеева Н.В.,Quaternary mammal faunas of the Baikalian region: biochronology, dispersal and correlation with the Central Asian one Advances of the Quaternary Interior Asia. Vol. of Abstracts and Field Guidebook. Ulan-Ude, 2013: 19-20. 113 ,Хензыхенова Ф.И.,,Ербаева М.А.,Мартынович Н.В.,Sediments and faunal remains of the Kurtun-1 Cave at Baikal Lake Archeology and Paleonto;ogy in Caves. Proceedings of 16th International Congress of Speleology, Chech Republic, Brno, vol. 1. 2013: 129-132. 114 Алексеева Н.В.,Ербаева М.А.,Грыдина М.Г.,Мелкие млекопитающие плиоцен-плейстоцена Забайкалья и значение их для стратиграфии и реконструкции природной среды Материалы IIого Всероссийского Симпозиума с международным участием и молодёжная научная школа «Континентальный рифтогенез, сопутствующие процессы», посвященный памяти академиков Н.А.Логачева и Е.Г.Милановского, Иркутск, 20-23 августа 2013 г., 2013: 25-27. 115 Alexeeva N.V.,Erbajeva М.А.,Pliocene-Pleistocene sciurids of the Transbaikal area: time of diversification and evolutionary development European Assiciation of Vertebrate Palaeontologists, 9th Annual Meeting, Heraklion, Crete, Greece 14-19 June, 2011, Abstracts. P. 13. 116 Erbajeva М.А.,Evolution, taxonomic diversity and classification of the genus Ochotona (Ochotonidae, Lagomorpha, Mammalia). Тезисы Международного симпозиума «Эволюционные идеи в биологии», посвященного памяти профессора Н.Н.Воронцова. Владивосток. 117 Erbajeva М.А.,Alexeeva N.V.,Plio-Pleistocene small mammal diversity in the south of East Siberia European Assiciation of Vertebrate Palaeontologists, 9th Annual Meeting, Heraklion, Crete, Greece 14-19 June, 2011, Abstracts. P. 25-26. 118 Erbajeva М.А.,Alexeeva N.V.,Daxner-Hoeck G.,Taxonomic diversity and evolutionary development of Eurasian ochotonids Beitrage zur Palaeontologie, Nr 32. 82. Jahrestagung der Palaeontologischen Gesellschaft in Wien.2011, Austria. Abstract. P. 4-5. 119 Erbajeva М.А.,Khenzykhenova F.I.,Alexeeva N.V.,Small mammalian faunas from the caves of the Lake Baikal region. XVIII Symposium “Theoretical and Applied Carstology”, Abstracts. Baile Herculane, Romania, May 24-28, 2002:17- 21. 120 Филиппов А.Г.,Оводов Н.Д.,Ербаева М.А.,Остеологические остатки млекопитающих в Сарминской пещере (Приморский хребет). Сб. Проблемы экологии и охраны пещер. Красноярск, Изд-во Поликом, 2002: 57-61. 121 Erbajeva М.А.,Alexeeva N.V.,Environmental changes in the Baikal region during Quaternary. PAGES Meeting on “High Latitude Paleoenvironments”, Moscow, May 16-17, 2002: p.19. 122 Erbajeva М.А.,Khenzykhenova F.I.,Alexeeva N.V.,Yazykov A.G.,Biostratigraphy of the south-eastern Siberia. INQUA-SEQS Conference “Upper Pliocene and Pleistocene of the Southern Urals region and its significance for correlation of the eastern and western parts of Europe. Ufa, 30 June- 7 July, 2002: pp.26-27. 123 Ербаева М.А.,Хензыхенова Ф.И.,Алексеева Н.В.,Языков А.Г.,Пищухи рода Ochotona, происхождение, видовое разнообразие и значение их для палеоландшафтных реконструкций и биостратиграфии. Материалы Всероссийской науч. Конференции “Геология, геохимия и геофизика на рубеже ХХ и ХХI веков. Иркутск, 2002:40-42. 124 Ербаева М.А.,Эмри Р.Дж.,Тютькова Л.А.,История и таксономическое разнообразие зайцеобразных Казахстана. Зоологич. Исслед. В Казахстане: современное состояние и перспективы. Алматы. 2002. С. 21. 125 Тютькова Л.А.,Ербаева М.А.,Эмри Р.Дж.,Лукас С.Г.,Миоценовая микротериофауна Зайсана и её биостратиграфическое значение. Зоологич. Исслед. В Казахстане: современное состояние и перспективы. Алматы. 2002. С. 47. 126 Ербаева М.А.,Эволюционное развитие и таксономическое разнообразие пищуховых (Ochotonidae, Lagomorpha, Mammalia) в связи с глобальными изменениями климата и природной среды Материалы Международного совещания "Териофауна России и сопредельных территорий", Москва, 2011. С. 156. 127 Ербаева М.А.,Алексеева Н.В.,Динамика природной среды и климата в плиоцен-плейстоцене и становление современной биоты Западного Забайкалья Рельеф и экзогенные процессы гор. Материалы Всероссийской научной конференции, Иркутск, 25-28 октября, 2011. Том. 2, С. 145-147. 128 Ербаева М.А.,Алексеева Н.В.,Плиоцен-плейстоценовые полевки Забайкалья и их значение для биостратиграфии. В сб. Современные проблемы стратиграфии неогена и квартера России (2011 г.) Материалы Всеросс. научного совещания, Москва, 2011 г. Москва, ГЕОС, С. 58-62. 129 Ербаева М.А.,Новые данные по биоразноообразию зайцеобразных олигоцена-миоцена Долины Озер Центральной Монголии. Систематика организмов. Её значение для биостратиграфии и палеобиогеографии. Санкт-Петербург, 2013: 39-40. 130 Erbajeva М.А.,Pliocene-Pleistocene ochotonids of the Europe. 4th European Congress of Mammalogy. Brno, Czech Republic, July 27-August 1 2003. Abstracts. 2003: 136. 131 Erbajeva М.А.,Mead J.I.,Swift S.L.,Evolution and development of Asian and North American ochotonids. 3rd International Mammoth Conference, Dawson City, Yukon, Canada, May 2003. Abstracts. 2003: 14-15. 132 Ербаева М.А.,Карасев В.В.,Алексеева Н.В.,Биостратиграфия плиоцена Забайкалья. Палеонтология и природопользование. Тезисы докладов XLIX сессии Палеонтологического общества. Санкт-Петербург, 2003: 81-83. 133 Тютькова Л.А.,Лукас С.Г.,Эмри Р.Дж.,Ербаева М.А.,Олигоценовая микротериофауна Зайсана. Териофауна России и сопредельных территорий. Материалы Международного совещания 6-7 февраля 2003 г., Москва. 2003: 360-361. 134 Ербаева М.А.,Алексеева Н.В.,Эволюция фауны млекопитающих позднего кайнозоя Забайкалья в связи с глобальными изменениями климата Геодинамика и минерагения Северо-Восточной Азии. Материалы IV Всерос. научно-практической конф., посвященной 40-летию Геолог. Ин-та СО РАН, 26-31 августа 2013 г., Улан-Удэ. Улан-Удэ, изд-во Эко, 2013. – С. 145-147. 135 ,,Ербаева М.А.,,,Ontogenetic variation of cheek teeth occlusal surface pattern in lagomorphs by means of Micro CT-scan Preliminary results and perspectives. Proceedings of 4th World Lagomorph Conference, Vienna, Austria, July 23-27, 2012. Vienna.P. 22. ISSN-Nr. 1021-3252. 136 Alexeeva N.V.,Karasev V.V.,Erbajeva М.А.,The Pleistocene biostratigraphy of the Transbaikal region. 18th International Senckenberg Conference in Weimar Conference Volume. Weimar, Germany, 2004. p. 65-66. 137 Erbajeva М.А.,Systematics and Phylogeny of the genus Ochotona Proceedings of the XIXth International Congress of Zoology, August 23-27. 2004, Beijing, China. 2004. p. 101. 138 Erbajeva М.А.,Zheng Sh.,Qiu Zh.,Li Ch.,Flynn L.J.,A review of fossil pikas of Asia.Proceedings of the XIXth International Congress of Zoology, August 23-27. 2004, Beijing, China .2004. p. 100. 139 Ma Y.,Erbajeva М.А.,A new look at the taxonomic status of Ochotona argentata Proceedings of the XIXth International Congress of Zoology, August 23-27. 2004, Beijing, China, 2004. C. 102. 140 Ербаева М.А.,Мелкие млекопитающие аридных экосистем Западного Забайкалья и вероятное время условий формирования природной очаговости чумы в регионе Млекопитающие как компонент аридных экосистем: Сборник тезисов Международного Совещания, Саратов..., 2004. С. 46-47. 141 Ербаева М.А.,Evolutionary history, biodiversity and biochronology of Eurasian lagomorphs. Proceedings of 4th World Lagomorph Conference, Vienna, Austria, July 23-27, 2012. Vienna.P. 52. ISSN-Nr. 1021-3252. 142 Ербаева М.А.,Biodiversity and evolutionary development of Mongolian ochotonids in Cenozoic time Erforshung biologischer Ressourcen der Mongolei. Abstracts of the International Symposium "Biodiversity Research in Mongolia" Halle (Saale), Germany; 25-29 March, 2012.Halle (Saale), 2012.P. 52-53. ISSN-Nr. 0440-1298. 144 Ербаева М.А.,Алексеева Н.В.,,2012. Late Pleistocene - Recent ochotonids of the Baikalian region, south of East Siberia. Proceedings of 4th World Lagomorph Conference, Vienna, Austria, July 23-27, 2012. Vienna.P. 53. ISSN-Nr. 1021-3252. 145 Erbajeva М.А.,Pliocene-Pleistocene small mammal faunas of south Siberia, biochronology and correlation with the European ones. International Conference on Biostratigraphy Cadre biostratigraphique de la Fin du Pliocene et du Pleistocene inferieur (3 Ma a 780 000 ans) en Europe Meridionale. Abstracts, Tende 20-22 May, 2005. France. P. 70. 147 Ербаева М.А.,Вымершие полевки Забайкалья и Северного Китая. В сб. «Систематика, палеонтолгия и филогения грызунов». Труды Зоологического института РАН, том 306. Ред. Н.И.Абрамсон и А.О.Аверьянов. Санкт-Петербург, 2005 г. С.55-71. 148 Ербаева М.А.,Плиоцен-современные суслики Западного Забайкалья. Научная Конференция. Суслики Евразии (роды Spermophilus, Spermophilopsis): происхождение, систематика, экология, поведение, сохранение видового разнообразия. Г. Москва. 2005. Тезисы докладов. С.48. 149 Ербаева М.А.,Алексеева Н.В.,Хензыхенова Ф.И.,Мелкие млекопитающие как индикаторы изменения природной среды и климата юга Восточной Сибири. Четвертая Верещагинская Байкальская Конференция. Тезисы докладов и стендовых сообщений. Иркутск. 2005. С. 78. 150 Ербаева М.А.,Алексеева Н.В.,,2012. Modern and past distribution area of Ochotona daurica Palllas, 1776 in the Central Asia in conext of global and regional events. Erforshung biologischer Ressourcen der Mongolei. Abstracts of the International Symposium "Biodiversity Research in Mongolia" Halle (Saale), Germany; 25-29 March, 2012.Halle (Saale), 2012.P. 53-54. ISSN-Nr. 0440-1298. 151 Ербаева М.А.,,Lagomorph taxonomy. Workshop: Late Cenozoic history of rabbits, hares and pikas. Proceedings of 4th World Lagomorph Conference, Vienna, Austria, July 23-27, 2012. Vienna.P. 54. ISSN-Nr. 1021-3252. 152 Ербаева М.А.,Алексеева Н.В.,2012. Стратиграфическая последовательность фауны мелких млекопитающих плиоцен-плейстоцена Забайкалья. Палеонтология и стратиграфические границы. Материалы LVIII Сессии палеонтологического Общества. Cанкт-Петербург. .С. 49-50. ISBN 978-5-904247-42-3. 153 Alexeeva N.V.,Erbajeva М.А.,“Stratigraphy, paleontology and paleoenvironment of Pliocene-Pleistocene of Transbaikalia and interregional correlations”. International Symposium, August 28th – 3rd September, 2006, Ulan-Ude. Field Excursion Guidebook. 2006. P. 26-30. 154 Erbajeva М.А.,Alexeeva N.V.,Karasev V.V.,Pliocene-Pleistocene biostratigraphy of Western Transbaikalia. In: Alexeeva N.V., Erbajeva M.A. (Eds.) “Stratigraphy, paleontology and paleoenvironment of Pliocene-Pleistocene of Transbaikalia and interregional correlations”. International Symposium, August 28th – 3rd September, 2006, Ulan-Ude. Field Excursion Guidebook. 2006. P. 14-18. 155 Рященко Т.Г.,Акулова В.В.,Ербаева М.А.,Сравнительная инженерно-геологическая характеристика лессовых грунтов Приангарья, Забайкалья, Западной Монголии и Северо-Западного Китая. Современная геодинамика и опасные природные процессы в Центральной Азии, вып. 4. Труды VI Российско-Монгольской конференции по астрономии и геофизике, Улан-Удэ, 25-29 сентября, 2005. Иркутск, 2006. С. 140-150. 156 ,,Ербаева М.А.,,,,The Valley of Lakes (Central Mongolia), a hot spot of Oligocene-Miocene mammal evolution EAVP Meeting – Torino 24-28 June 2014. Abstract Book. P. 35. 157 Ербаева М.А.,Неогеновые пищуховые (Ochotonidae, Lagomorpha, Mammalia) Азии Международная Конференция «Палеонтология Центральной Азии и сопредельных регионов: к 45-летию Совместной российско-монгольской палеонтологической экспедиции (СРМПЭ)», 12-13 ноября 2014. г. Москва. Тезисы докладов. 158 Ербаева М.А.,Алексеева Н.В.,Щетников А.А.,Филинов И.А.,О времени формирования многолетнемерзлых пород на юге Восточной Сибири и климат региона в позднем кайнозое Почвы холодных областей: генезис, география, экология (К 100-летию со дня рождения профессора О.В. Макеева). Материалы Научной Конференции с международным участием. Улан-Удэ, 2015. С. 45-46. 159 Erbajeva М.А.,Late Miocene-Recent Ochotonids of Eurasia with emphasis on European: some case-studies of co-existence and competition among extinct and extant forms. Abstracts of the V European Congress of Mammology, Siena, Italy, 21-26 September, vol. II, 2007. p. 361. 161 Erbajeva М.А.,Alexeeva N.V.,Mammoth faunas of Transbaikalia: composition and environment Abstracts of IV International Mammoth Conference, June 18-22 июня 2007, Yakutsk. – Р.113. 162 Erbajeva М.А.,Alexeeva N.V.,Paleoenvironment and climate dynamics of the Baikalian region during Pliocene-Holocene Ecosystem evolution of Baikalian region and adjacent areas in context of global change: past, present, future. Irkutsk, Bolschie Koty, 2007. – P.16-17. 163 Ербаева М.А.,Алексеева Н.А.,Роль Э.А. Вангенгейм в становлении палеонтолого-биостратиграфического направления плиоцен-плейстоцена Западного Забайкалья 100-летие Палеонтологического общества России. Проблемы и перспективы палеонтологических исследований. Материалы LXII сессии Палеонтологического общества при РАН. – СПб. : Изд-во ВСЕГЕИ, 2016. С. 210. 164 Erbajeva М.А.,Biodiversity and distribution areas of the Transbaikalian marmots in the past VI marmot meeting:“Marmots in changing world”, Abstracts, Cogne, Italy. 3-6 September, 2008. P. 3. 165 Щетников А.А.,Алексеева Н.А.,Филинов И.А.,Ербаева М.А.,Намзалова О.Д.-Ц.,Плейстоцен Байкальского региона: стратиграфия и палеогеография 100-летие Палеонтологического общества России. Проблемы и перспективы палеонтологических исследований. Материалы LXII сессии Палеонтологического общества при РАН. – СПб. : Изд-во ВСЕГЕИ, 2016. С. 284. 166 Ербаева М.А.,Дамдинова Е.Г.,Хранитель эха. М., студия «Борей», 2015. – 112 с. (всего уч.-изд. л. 7, из них Ербаева М.А. 5 л.). ISBN 978-5-91865-341-8. Тираж 150 экз.